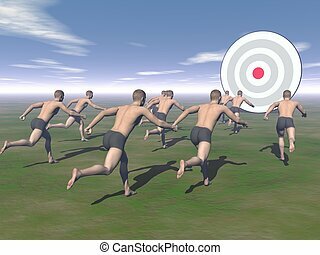 Aim to running man. 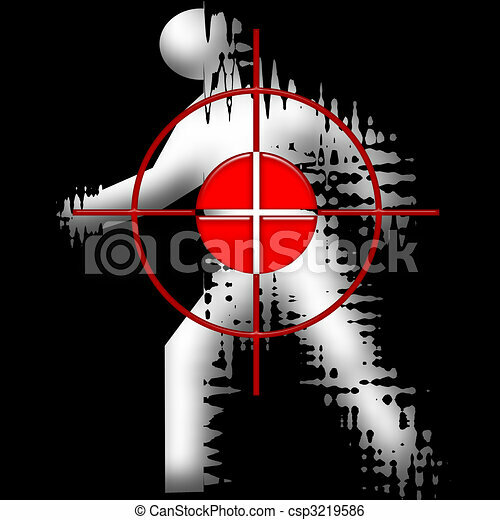 Red target on the white running human silhouette illustration over black night background. 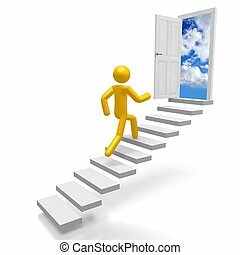 Biz man concept : Businessman at star point running up to success stair. 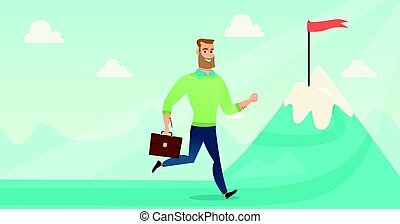 Businessman running to flag on the peak of mountain symbolizing business goal. 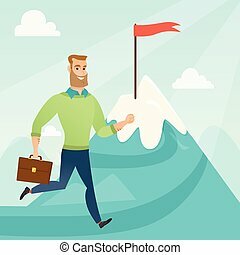 Man standing on road leading to business goal. 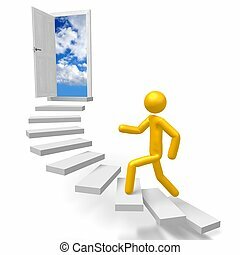 Business goal concept. Vector flat design illustration. Horizontal layout. 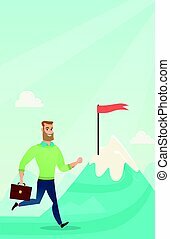 Businessman running to flag on the peak of mountain symbolizing business goal. 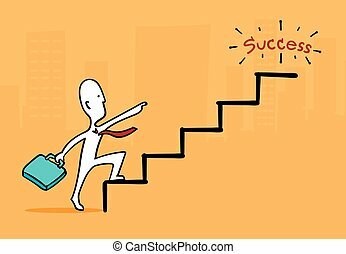 Businessman standing on road leading to his goal. 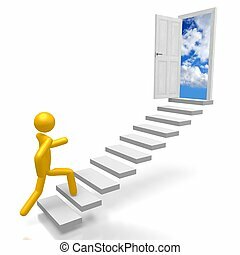 Business goal concept. Vector flat design illustration. Square layout. 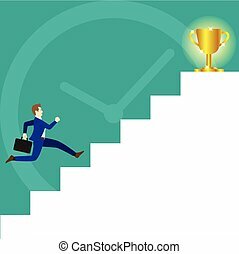 Business Concept As A Businessman Is Running On White Stairs To A Glitter Gold Trophy On Top And A Big Clock As Background. 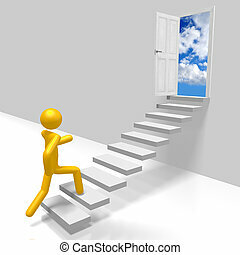 It Means Trying To Achieve The Ultimate Goal By Competing With Time. 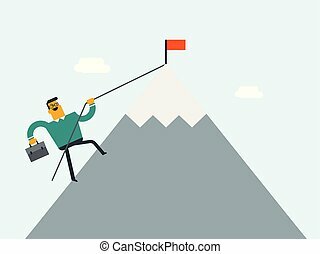 Young caucasian white businessman with briefcase climbing on the peak of mountain with a flag symbolizing business goal. 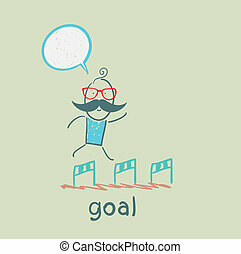 Business goal, achievement and motivation concept. Vector cartoon illustration. 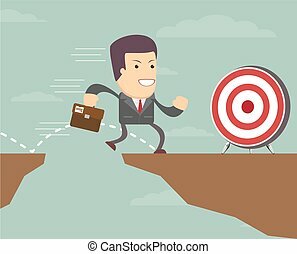 A businessman is running with a suitcase to the target. 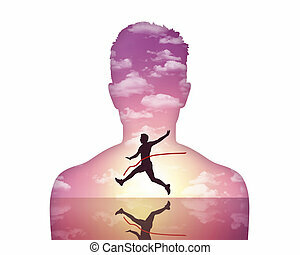 He is jumping over the abyss.